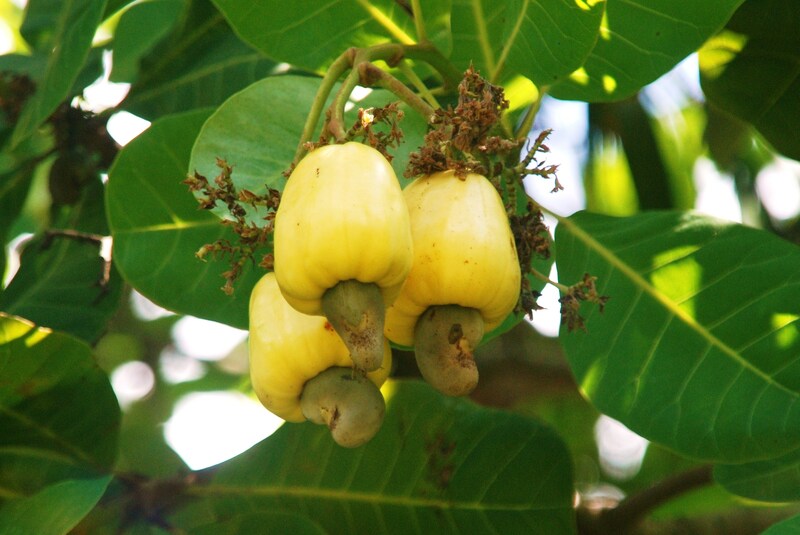 Cashews, natures perfect nut…or is it a fruit. Actually it’s both! I didn’t know where they came from. Just like I didn’t know what an orange really tastes like. But now, living on a tropical Island, nestled in the Caribbean Sea. Not only do I know where cashews come from, I watch them grow outside my window. The blossoms start in early April, delicate clusters of tiny flowers, with a hint of the fragrant cashew fruit swirling in the Ocean breeze. The bees and hummingbirds are very happy. 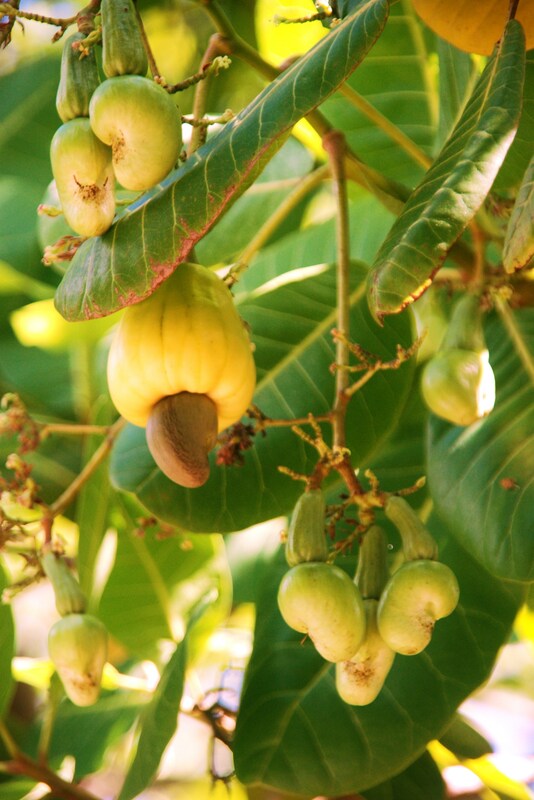 By mid-April, the developing fruit and nut are forming – one cashew per fruit. The fruit – similar in size and color of a yellow sweet pepper. The nut – encased in a outer shell. 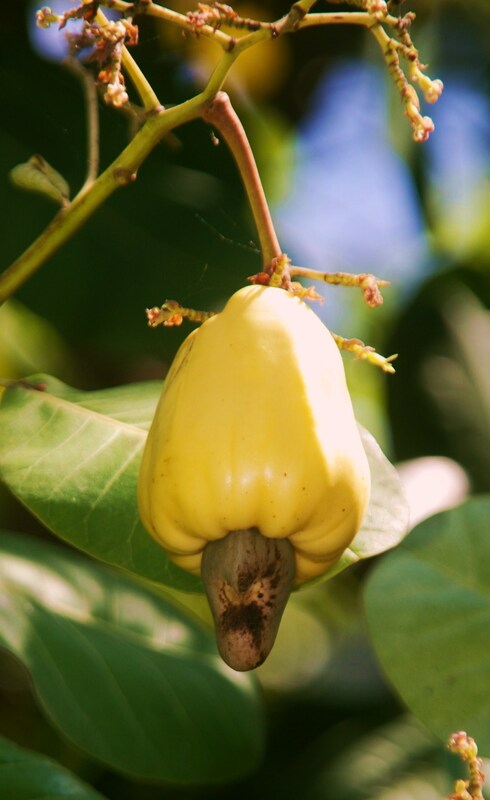 I just saw you blogging today on the cashews. I’m wondering what else you have had success in growing? My husband and I are moving to Roatan as soon as our house sells and I am an avid gardener who would like to try my hand at gardening in the tropics. Gardening in the tropics is certainly different from where I come from; Ontario, Canada. We call it reverse gardening because everything that grows here…grows fast! Unless you are on the shore (salt and higher winds) you can have success with just about any tropical fruits, including mangoes, limes, oranges, and bananas. Vegetables require more care, and pests, including cutter ants and land crabs will help themselves. Anything that requires cool to cold evenings will not do well for obvious reasons. Tropical flowering plants do very well; hibiscus bloom all year round, as does ginger, and my all time favorite, wild orchids put on a show mid-July. Helen Murphy is the premier export on gardening on Roatan. 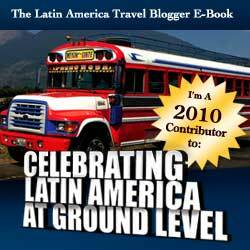 She did a gardening semenar for all that were interested and she highly recommended “Tropical Gardening and Flower Identification,” by Graham Teague. 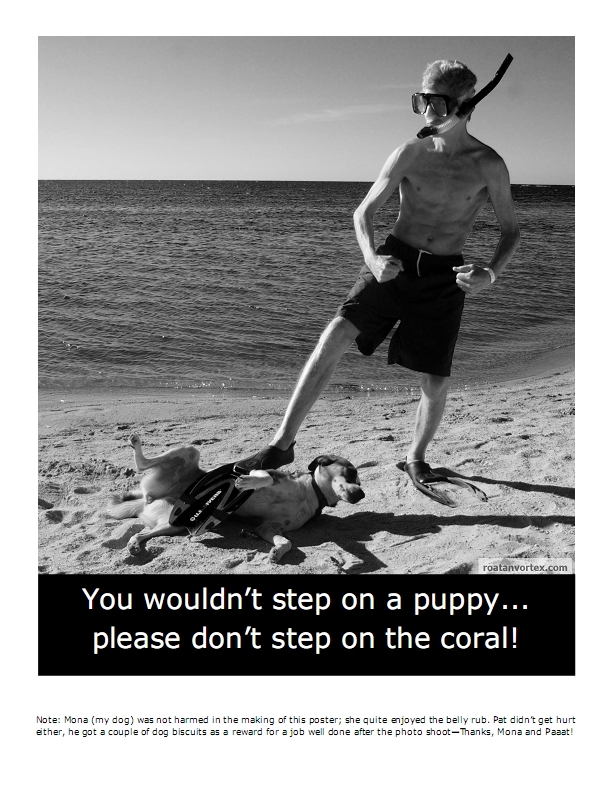 Stay in touch and let me know when I can say…welcome to Roatan!